Dr. Melvin is a board-certified, fellowship-trained orthopaedic surgeon who specializes in hip and knee replacement with specific training in anterior approach total hip replacement, custom partial and total knee replacement as well as revision hip and knee replacement. He is a fellow of the American Academy of Orthopaedic Surgeons and the American Association of Hip and Knee Surgeons, as well as an active member of the Orthopaedic Trauma Association. His numerous scientific papers have been featured in the Journal of the American Academy of Orthopaedic Surgeons, Journal of Orthopaedic Trauma, Journal of Arthroplasty, and Clinical Orthopaedics and Related Research. 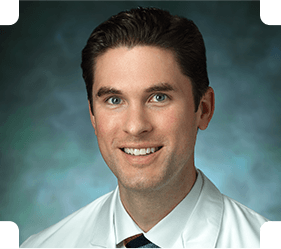 Additionally, Dr. Melvin has authored chapters in orthopaedic textbooks on topics ranging from hip and knee pathology to upper extremity fractures.